I have grown to be a lover of interior design, getting my room perfect and just the way I like it. I scrolled through posts and posts on Pinterest for inspiration and one of the things I fell in love with was prints. The amount of 'print walls' was insane, so I made it my hunt to find my own. I bought a few last year from Not on the High street, however, when Jazmyn over at Bliss Prints Uk, gave me a chance to choose some prints I jumped at the chance. I could have easily chosen all of them, however, I picked my two favourites. The first one 'Na Ma St'ay in bed' was a must, I have heard this saying so many times and I am obsessed with it, I love that she has used two fonts as it ties in so well with my other prints! The other one, I thought is perfect for above my bed, 'No matter how you feel, Get Up, Dress Up, Show Up and never give up'. 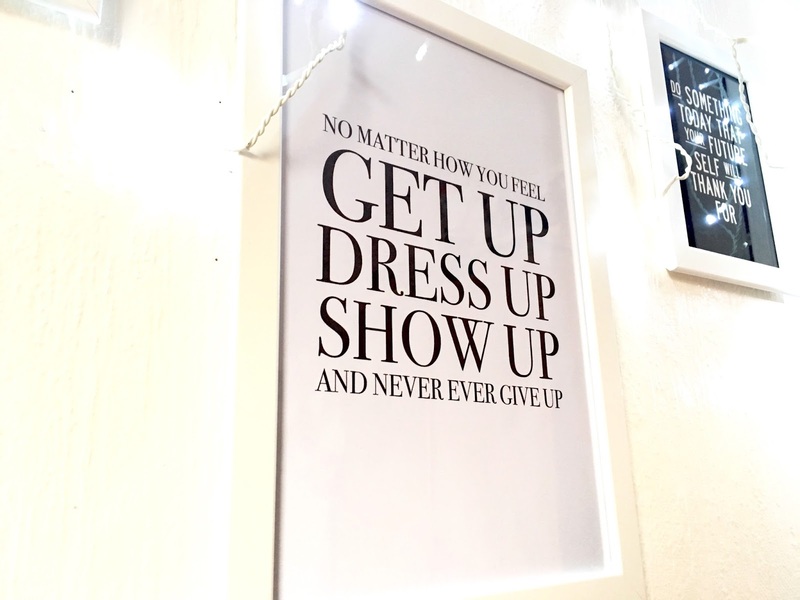 Just a little reminder every morning to get up. Prices for the prints are £3 for a print already made and £4 for a custom print, plus 50p for P&P. Right now they have 15% of all orders in October, however, if you use these code EMMA20 you can get 20% your order (excluding P&P). I am completely obsessed with them and I am so happy with them. They are great quality and I would highly recommend. Let me know if you buy any? Oh my god this looks amazing!! Ive been eying up things like this for a while now but I havent a actually ordered any. I think when I redecorate my room in a few months this is definitely something ill be looking in to doing. 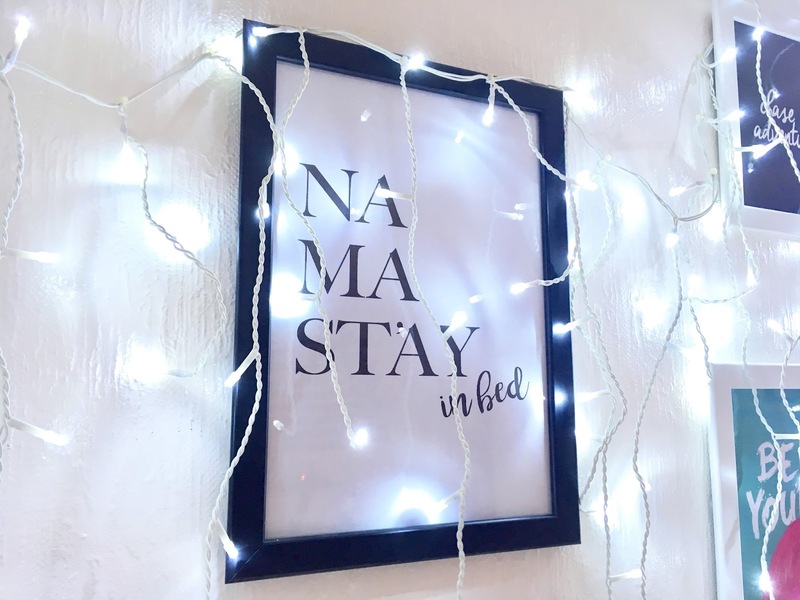 I love the Na’Ma’Stay in bed and ive been looking at getting a pillow printed like this! 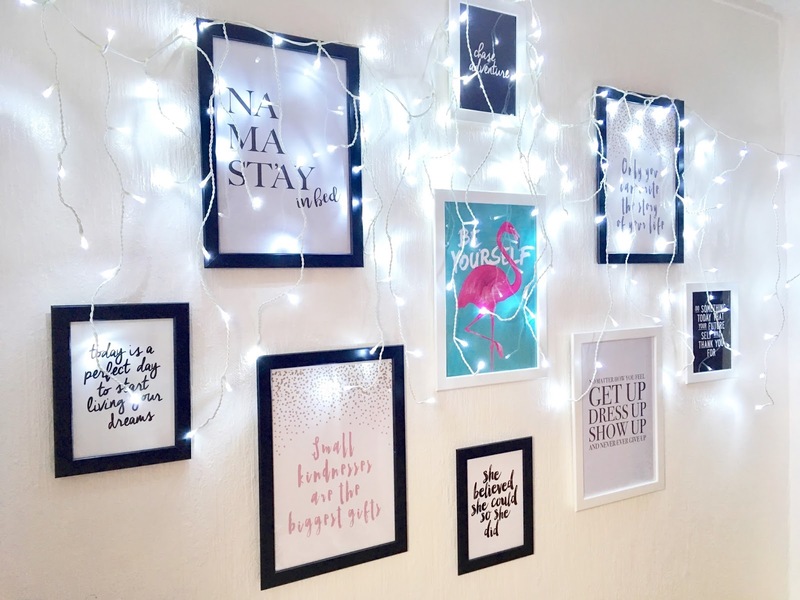 I love your print wall! I've recently redecorated my room and am planning a print wall but it's so overwhelming because I don't want to mess it up! I may bookmark this so I can refer back to your photo! 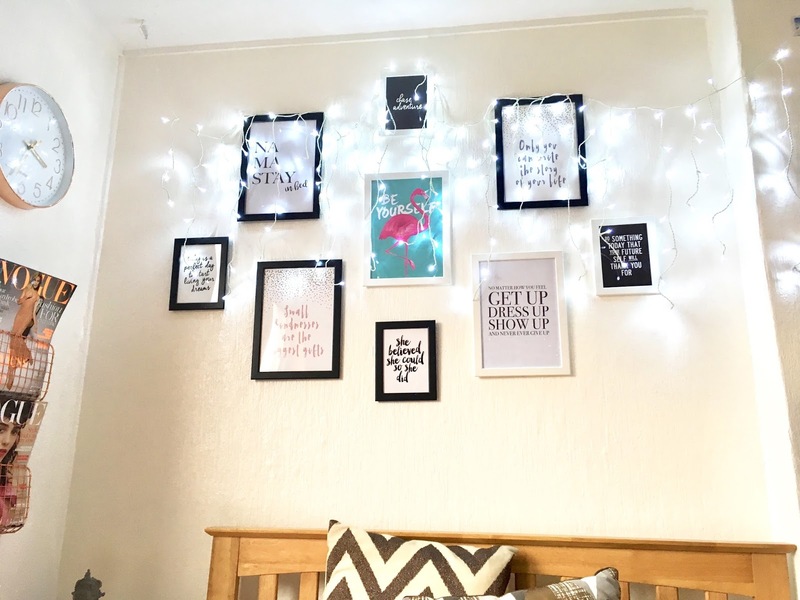 I love your little wall set up with all the prints and the fairy lights! They're incredibly reasonably priced too, £3 really is nothing at all for such high quality prints! Na Ma Stay in Bed is a fab choice, I'd definitely have gone for that one as well! I'm still working on making my uni room my own so I'll definitely be checking out this shop to pick up some goodies! Wow! 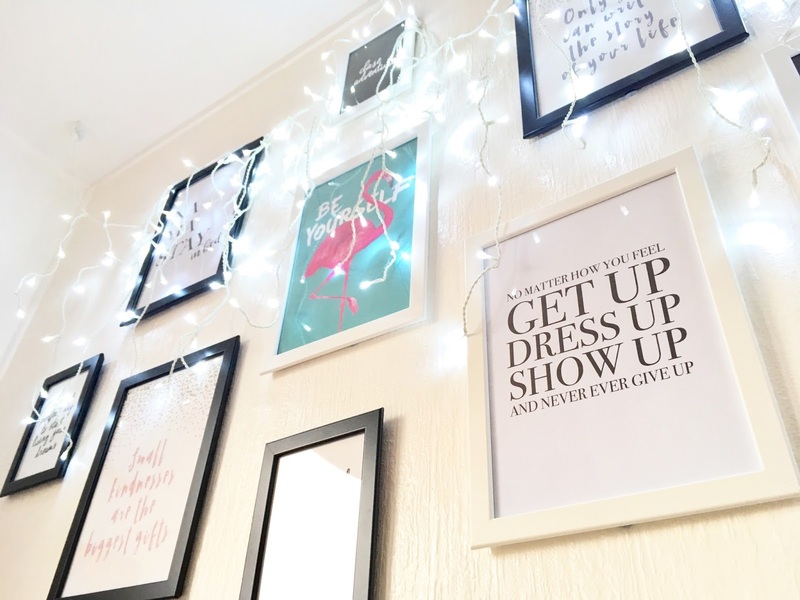 I love all of these prints and they look BEAUTIFUL in your place! I wish I could have a print wall but I'm not allowed in student accommodation! I sort of collect prints to dot around in photo frames instead though. The two you received are gorgeous too and so reasonable!